How should I choose whether to go for SIP or Lumpsum? Invest in SIP or a one-time investment (lumpsum)? Choosing one depends on your familiarity with Mutual Funds, the fund you want to invest in and your goal. 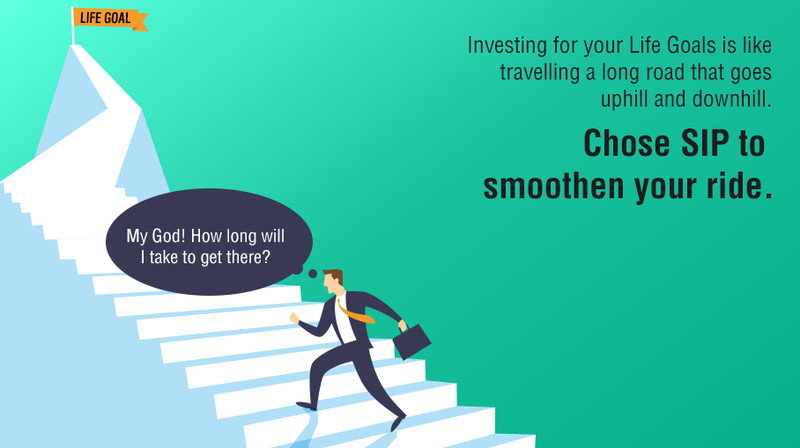 If you want to invest regularly to accumulate sufficient capital for a goal, invest in a suitable equity scheme through SIP. Like, if you want to save from your monthly income and put it in an option where you can grow your money significantly so that in the long run it’ll be sufficient to fund your child’s higher education, SIP is the answer. Seek help from a fund adviser if needed. If you have surplus cash now, like - bonus, proceeds from property sale or retirement corpus, but unsure how to use it, go for lumpsum investment in a debt or liquid fund. SIPs are advisable for investing in equity-oriented schemes while lumpsums are better suited for debt funds. If you are new to investing in Mutual Funds, SIPs are meant for you. SIPs need sufficiently long-time horizons to prove beneficial. You may invest in lumpsum if the market has been following an upward trend and you think it’ll continue for long. SIPs are best suited for a widely fluctuating market phase.